It’s not likely that you’ve already to bored with the new BMW 6 Series because well, the car has just been released to the market. Still, Kelleners Sport offers a nice upgrade kit that lifts up the car’s spirit, making it a unique and fab car with added power and style. Visually, the car only gets new set of wheels in 19 or 20 inch size in two different design and colors and fat tires. The interior gets new aluminum pedals, velour mats, and new leather upholstery and wood trims. The best part however, is the engine. 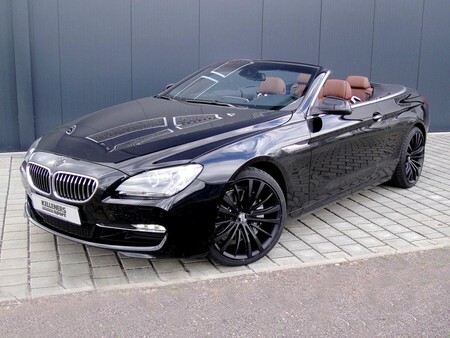 Based on the BMW 650i model, this car gets a nice power bump from 407 hp to 490 hp. The torque too jumps up from 600 to 720 Nm.